Toyota is a Japanese brand dedicated to serving its customers with a high degree of personalization, much like our dedication to providing customers excellent service for all your automotive needs. 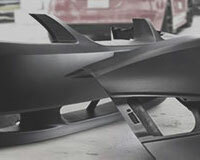 We offer a complete online catalog of Toyota Prius OEM parts and accessories at discounted prices. Rigorously engineered as a Porsche or BMW, Toyota Prius has been produced by a renowned Japanese automotive manufacturer Toyota Motor Corporation since December 1997 as a compact or mid-size full hybrid electric automobile. Originally introduced as the first mass-produced hybrid vehicle, Toyota Prius soon becomes the world's top-selling hybrid car. "Prius" in its name derives from a Latin word, meaning "first", "original", "superior" or "to go before". Up to now, it has been produced through four generations and has won lots of accolades such as Motor Trend's Car of the Year, Car and Year Japan, and Consumer Reports' Best Value and so on. The third-generation Toyota Prius was produced from March 2009 to 2015 and made its debut at the January 2009 North American International Auto Show as a 2010 model in the United States. It underwent an evolutionary design for improved aerodynamics and fuel economy as a 5-door liftback. During this generation, Toyota Prius was powered by a 1.8 L inline 4-cylinder engine paired with the electric motor for a total system output of 134 horsepower. The current four-generation Toyota Prius appeared in the North American market in January 2016. Featured a wedge-shaped exterior but having a more aggressive front and rear fascia and more angular headlight cluster, Toyota Prius carried over the powertrain from the previous generation. First, engine issues are the problems that driver want to escape from most, including Toyota Prius drivers. Generally speaking, they often indicate that the vehicle is on the verge of breaking down completely. While in order to avoid such result, you had better learn about some signs to diagnose them as early as possible. According to some Toyota Prius drivers, in the beginning, the engine will make metallic sounds accompanied with dropping oil pressure and dirty exhaust. 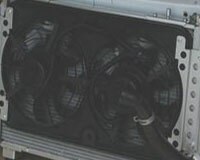 Gradually, the engine performance reduces so that engine runs roughly, misfires, even has problems in starting. 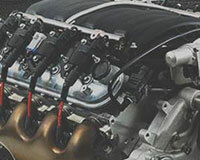 If you also find visible leaking coolant and excessive oil consumption, then the Prius oil filter, air filter, spark plug, radiator, water pump, oxygen sensor, drive belt, and EGR valve gasket need a thorough inspection. Second, braking and suspension failures are also very troublesome for Toyota Prius drivers. If a vehicle without a well-functioning braking system, the odds of car accidents will increase a lot. 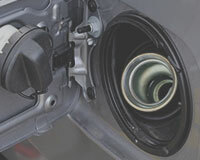 Experienced Prius drivers said as the accumulation of mileage, the brakes will become noisy and poorly responded; the brake pedal is also pulsating. The brake pad set is often the culprit. While the suspension failure often manifests as grinding noises while turning, severe damages on the front tire and brakes as well as intense car vibrating and poor handling, all these could be attributed to the Prius strut housing, coil spring insulator, ball joint and coil springs. Apart from knowing how and solving common problems on Toyota Prius in time, effectively preventing issues from happening seems to be more important, which means routine maintenance is a must. In your Prius, the seat belt is used for protecting you in a collision or sudden movement; headlight, wiper blade, headlight bulb, fog light bulb and fog light could offer excellent driving visibility under adverse conditions; and cabin air filter and antenna are responsible for comfort level while driving. 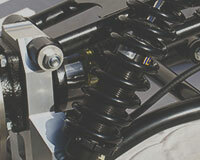 All these auto parts need to be maintained on a regular basis for your safe and comfortable driving experience. A wise Toyota Prius owner will be aware of the fact that only OEM Toyota Prius auto parts could save him a lot of time and money in getting parts replacements. 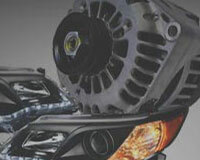 On a whole, the OEM parts have greater assurance in quality, reliability and durability than any aftermarket parts. Moreover, ToyotaPartsPrime.com owns the lowest-priced manufacturer-warrantied genuine Toyota Prius auto parts in a wide range. In order to offer you a most satisfying shopping experience, all OEM Prius parts could be returned without a hassle and delivered to door step at the quickest speed by major international carriers!